How to “List and Sell Your Luxury Key West Home Faster”. How can you list and sell your luxury Key West home faster? Understanding market context and having a strong marketing presence are the keys to success when it comes to selling your Key West home quickly and effectively. Seller strategies have to be fluid with the market, so it’s important to understand the context of the market at any given time. Most sellers that get stuck with long marketing times tend to be selling based on influences outside the market itself, such as personal agendas or emotional attachments to a property. Some calculate what they spent and what the cost of improvements were. These mistakes can be costly in the final contract price because they slow down marketing time. The longer you market a property, the less you are likely to net because the listing becomes stale. People often assume that the market has decided the property is worth passing over simply based on the number of days a property has been sitting on the market. The assumption is that there must be something wrong with the property or it must be overpriced by an unrealistic seller. When pricing a home, you should look at the current listing to selling price ratio, use a fair and realistic current market value of your property, and adjust up with that list price-sale price ratio. A clear and accurate assessment of value and strategic list price will bring the highest net yield in a sale. That’s because these are the same factors that will bring the most attention, and therefore the most competition, to a property. If you are using a REALTOR® with internet syndication, your property is most likely showing up in front of hundreds, if not thousands, of potential buyers around the world. If the property is not getting activity, it’s almost certainly a factor of pricing. Many sellers don’t want to hear that reality, but it’s the absolute truth. One of the tools I provide for my sellers is a bi-weekly Marketing Report. This allows the seller to follow along with Live Market Data, including new listings, price reductions, and recent sales. 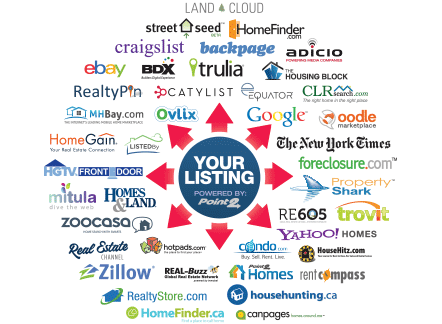 Call today for a free listing presentation and let me show you what we can do for you. We will work together to custom design a marketing platform for your home based on its unique features. Even if you are not considering selling until further down the road, make sure you sign up on the right side of the page for a free Market Snapshot that will allow you to track the value of your home live as the market is progressing. Let me move you from FOR SALE to SOLD as quickly as possible with the greatest net figure the market will allow.